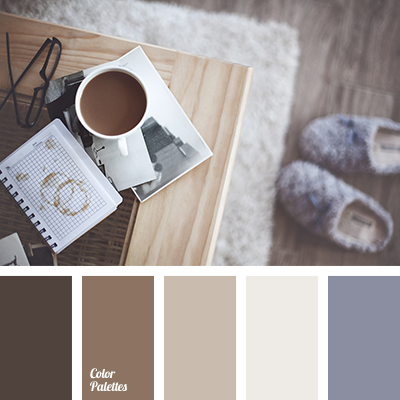 This palette is based on the shades of gray. 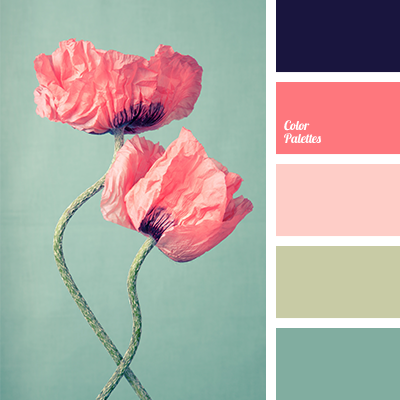 Light shade of gray graphite is the basis of the palette and against such a background deep gray looks more saturated. 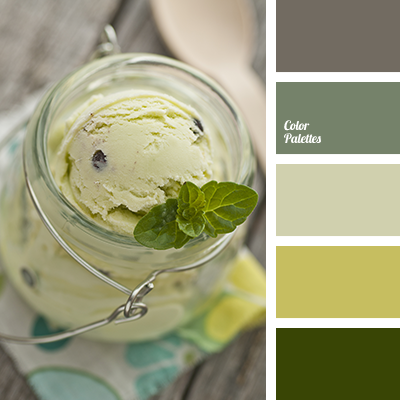 Rich mint colour refreshes the palette, that adds not only freshness to it, but also uniqueness and individuality. 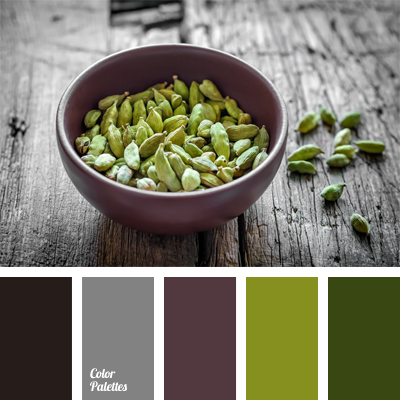 This palette is perfect for design of a showroom or workshop of creative person. 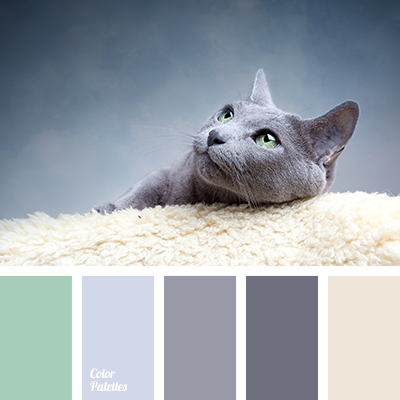 beige and gray, beige and green, beige and light green, blue-gray, blue-gray and gray-violet, colour of fur, colour of wool, gray and beige, gray and green, light green and silver, shades of gray, shades of gray-violet, shades of green, shades of violet-gray, silver blue.